Emblematic of the ruggedly spectacular Ridge and Valley region of the Appalachian Mountains, central Pennsylvania’s 96,250 acre Rothrock State Forest treats adventure lovers to a medley of panoramic ridgelines, rhododendron-sprinkled valleys, spruce-fringed wetlands, and vast swaths of mixed-oak forest. 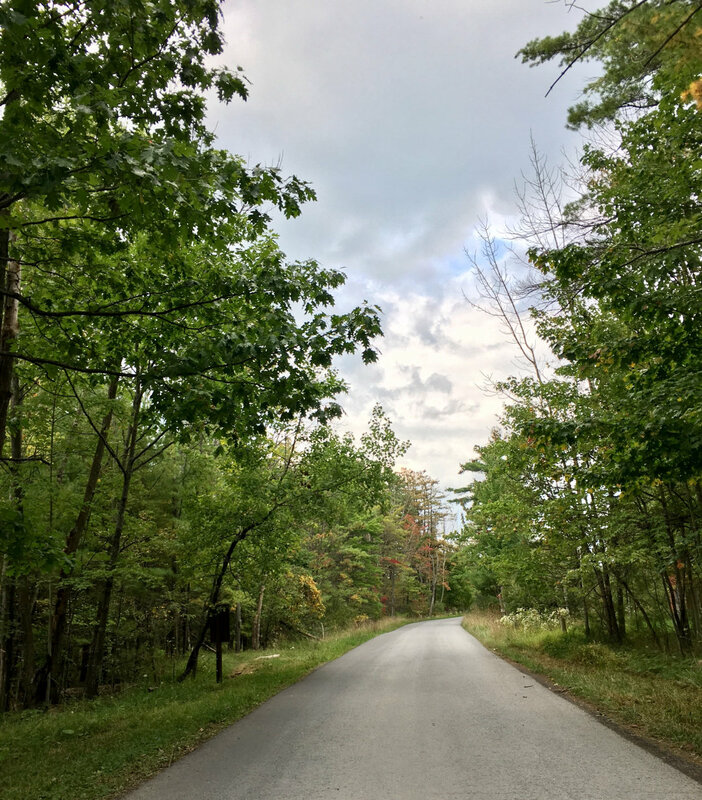 Located just outside the town of State College, the massive state forest is also emblazoned with an extensive and easily accessible trail system—including more than 100 miles of trails open to mountain bikers, in addition to nearly 190 miles of tree-framed roads. Rothrock State Forest has emerged as a world-class mountain biking destination, with enough variety to delight all kinds of riders. Although hard to imagine today, just over a century ago what is now the Rothrock State Forest was virtually treeless—the woodlands harvested for fuel to feed iron-smelting furnaces. In the early 20th century, after a handful of area furnaces closed, a Mifflin County native by the name of Dr. Joseph Rothrock, later to be recognized as the ‘Father of Forestry’ in Pennsylvania, helped to arrange for the Commonwealth to purchase nearly 35,000 acres from a local iron company. This state-owned acreage was allowed to regenerate and it eventually expanded to include the bulk of the Seven Mountains forest. During the Great Depression of the 1930s, after the creation of President Franklin Roosevelt’s Civilian Conservation Corps (CCC), the area’s recreational potential was developed. Between 1933 and 1942, six different CCC camps were scattered throughout Rothrock State Forest, and the recruits did everything from tree-planting to road building. Today, through a partnership with the Pennsylvania Department of Conservation and Natural Resources, the non-profit Nittany Mountain Biking Association champions and safeguards the trail system threading the state forest, aiming to expand and enhance opportunities for off-road riders. The diversity of trails and terrain at Rothrock State Forest means there are plenty of opportunities for all kinds of riders, from pros craving technical, rock-strewn singletrack to newbies still easing into the art of off-road riding. For experienced riders, Rothrock State Forest is home to two International Mountain Biking Association Epic Rides. First, there’s the 36 mile Rothrock Trail Mix, a ride scattered with sizeable rock gardens, ridgetop runs, and exhilarating descents, showcasing both some of the state forest’s most spectacular scenery and most demanding singletrack. The Cooper’s Gap Epic is a 27-mile route seamlessly cobbled together using an eclectic assortment of trails, including tracks like the rock-and-root scattered Deer Tick Trail and the silky smooth Dutch Alvin Trail. Besides Rothrock’s epic distance circuits, the state forest is also loaded with worthy trails for mountain bikers seeking a shorter excursion. One of the gems is the 4.2-mile Tussey Mountain Trail. After a gradual ascent, the trail crests Tussey Mountain and rambles along a ridgetop cleared by a wildfire just over a decade ago, making the lofty stretch of singletrack especially scenic. The Tussey Mountain Trail can be ridden as an out-and-back from Bear Meadows Road, or can be tacked onto a longer loop. For competitive riders, Rothrock State Forest is also home to some of Pennsylvania’s premier trail races, including the seven-day Trans-sylvania Epic, the Wilderness 101 endurance race, and Rothrock Trail Mix, which features both a 22 mile endurance course and a 19-mile short course. While Rothrock’s claim to fame is sylvan singletrack, the state forest’s access roads also make for a scenic ride. They are especially ideal for mountain bikers still learning the ropes, or families looking for a non-technical off-road experience. 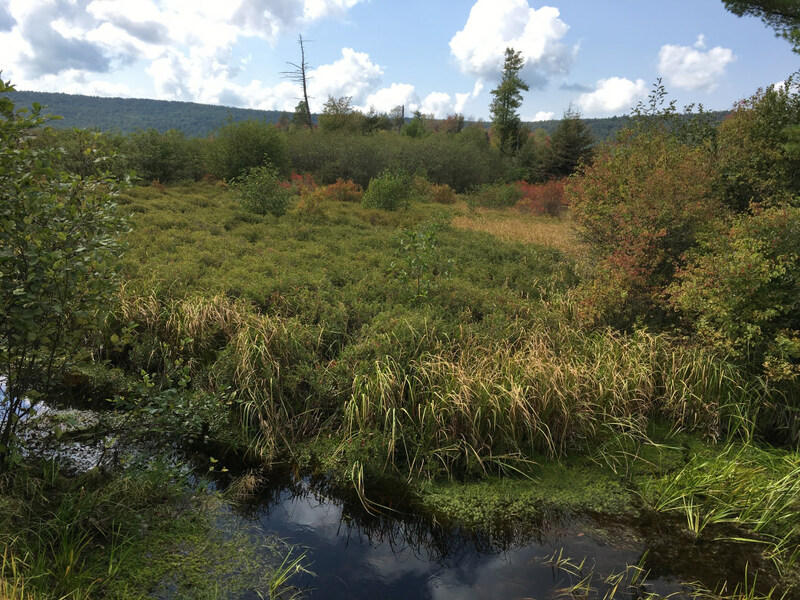 Beginning at Galbraith Gap, the Bear Meadows Road passes through the wildlife-rich Bear Meadows Natural Area, punctuated with a spruce and fir bordered bog. For visitors or new riders, one of the best ways to get a taste of the trail system at Rothrock State Forest is on one of the Thursday evening rides organized by the Nittany Mountain Biking Association (offered from May to September). For intermediate and advanced riders, The Bicycle Shop in State College also organizes Tuesday evening rides for local mountain bikers. Riders who want to turn a day on the trail into an overnight excursion can grab one of the campsites at the Greenwood Furnace State Park, which offers easy access to the trail system at Rothrock State Forest. For bikepackers, backcountry camping is allowed throughout the state forest except in established Natural Areas (with guidelines for campers specifying required distances from water sources, forest roads, and trails). By far, the best guide to the extensive network of trails at the sizeable state forest is the map of Rothrock State Forest produced by Purple Lizard (printed on waterproof and tear-proof material). If heading out to ride the singletrack at Rothrock State Forest from State College, be sure to stop by the local coffee shop dedicated to the locally beloved mountain biking destination—Rothrock Coffee. The location serves up freshly roasted coffee, sandwiches, and baked goods, and even sells local trail maps onsite. Mountain bikers can grab trail-essentials, schedule tune-ups, or arrange for emergency repairs at one of the local bike shops in State College, including Freeze Thaw Cycles, Eddie’s Bicycles and Hockey Equipment, and The Bicycle Shop, the oldest cycling shop in central Pennsylvania. Seasonal hunting is allowed throughout much of Rothrock State Forest, so pay attention to Pennsylvania’s various game seasons—or plan to ride on a Sunday. For more info on how to make the most of your adventure, request a visitors guide. Written by Malee Baker Oot for RootsRated Media in partnership with Visit Penn State.